The 5 (red) and ten (light blue) day moving average of the NYSE breadth is approaching oversold levels; the 5 day moving average of the closing TICK is at the lower end of its range (but can get more oversold). 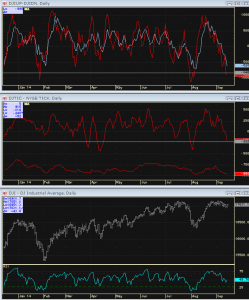 The bottom red line on the middle chart is a ten day moving average of the tick lows…. approaching oversold levels. The bottom chart of the DOW shows the RSI. It has corrected the previous overbought readings. 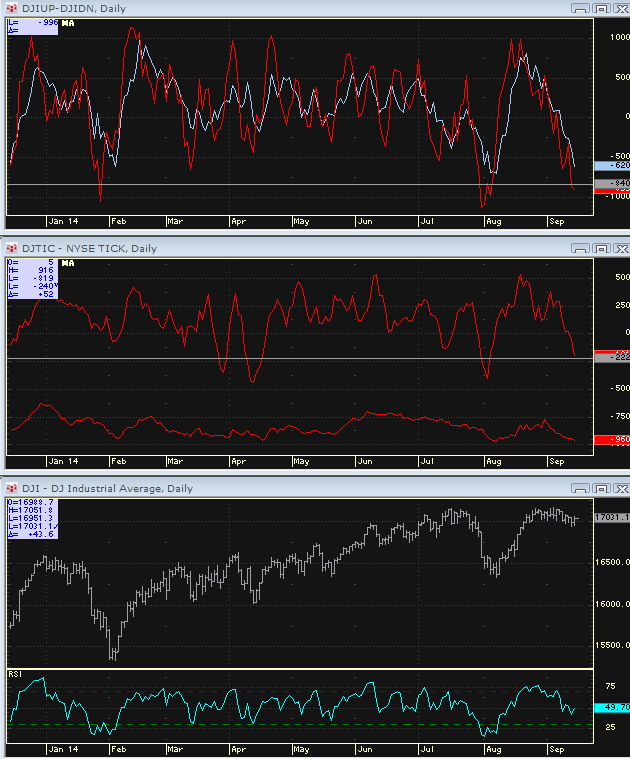 (It too, has hit more oversold levels at intermediate term Buy spots).